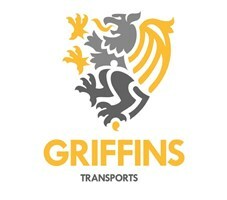 Griffins International Transport and Logistics Limited - Removals/Storage based in London, Greater London. We are a London based Removals company operating nationwide and in Europe, proudly founded on experienced staff. We’re not trying to compete with the big, household name removal companies, but do like to think we offer a superior service. We are big enough to cater for almost any removals challenge in London but we are small enough to care about every single client and this is reflected in the feedback we get. Whether you are moving from a studio flat and only need few items to be taken or from a 5 bedroom house and require packing and storage arranged our team will deal with all the challenges from parking restrictions to narrow sets of stairs and top floor apartments that require a furniture hoist; we’ve seen it all and we can help you move seamlessly. If you are looking for a removals company to work with on an hourly rate or fixed price to tailor to your moving needs you are in the right place. Contact us via phone or email and we are happy to give you a free no obligation quote, for every house, flat or office move, we will send one of our experienced surveyors to view the property and provide a fixed price quotation thus ensuring our charges are fully transparent.